Hearing loss is something I’ve dealt with for over 40 years. I was first diagnosed at age five and my hearing declined for the next 20 odd years. Choosing the right hearing aid and ultimately the right cochlear implant can be a challenge. Lucky for me, my brother, four years older, has the same history of hearing loss, and I usually had him to rely on for feedback about new technology or functionality. Now, I’m in a position to provide some insights into the new Kanso Sound Processor from Cochlear! A little bit about myself, I work for Cochlear in Sydney and help develop and market new processors and accessories. I love my job because I get to work with and learn from our customers and help make sure the new products best meet our customer needs. I’m doing this for me, my brother, my son and all of you, and I truly love it. In my role, I had the opportunity to be part of first clinical trial for Kanso, where I tested the device for more than six months in Sydney, Australia. One thing we’ve learned over the years is that everyone is different and what is best for one person might not be best for another. Kanso has been developed for people who are looking for a sound processor that is discreet, smart and simple. Kanso is for people who might be a bit self-conscious about wearing a processor, who want something to ‘set and forget,’ or who just don’t want anything on their ear, all while still receiving great hearing performance. So here’s what I can tell you from my experience about hearing performance with Kanso. As a recipient and customer myself, I really focus on hearing performance. I want to be able to hear my best in every situation. Whether it’s social or at work, I don’t want to miss out on anything. So when I was asked to trial Kanso, I must admit, I was a little sceptical. Would this new processor allow me to hear as well as with my Nucleus 6® Sound Processor? I put it to the test. I went to the noisy café and the windy beach, I listened to music and watched TV, attended lectures and conferences, and in every situation I switched back and forth between Nucleus 6 and Kanso. I can honestly say I could not tell the difference. I felt like with Kanso I was hearing just as well as with Nucleus 6 and maybe, more importantly, my family couldn’t tell the difference either. My wife, who’s able to tell better than me when it’s time to change my microphone covers, didn’t even notice I had a new processor for three weeks! Kanso has the same performance technology as Nucleus 6 (SmartSound® iQ), which includes SCAN*. SCAN is an automatic environment classifier that constantly scans the environment you’re in and changes the processor settings to make sure you’re in the right setting at the right time. It’s all I ever use with Nucleus 6 or Kanso. Kanso also offers all the same True Wireless™ connectivity options as the Nucleus 6, which is very important to me. I use my Phone Clip, Mini Microphone and TV Streamer on an almost daily basis. 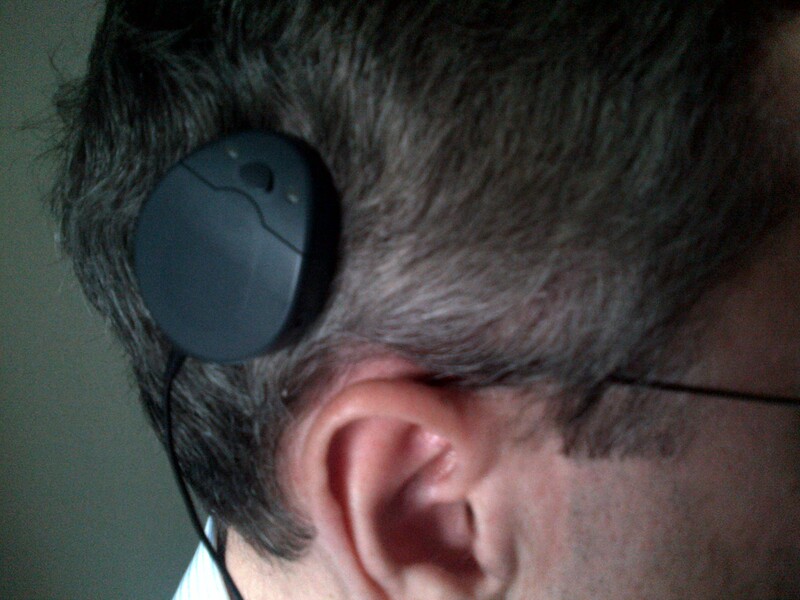 Being able to stream directly to my processor in certain situations is a huge advantage for people with Cochlear implants. I feel sometimes like I’ve gone from being the person in the room with a disadvantage to being the only one in the room with a real advantage. Kanso is an integrated sound processor for a cochlear implant that has the processing unit (read: brains of the computer), the battery, and the coil all in one unit. It must be worn directly over the implant, so there are no cables to fiddle with and no earhook as it sits behind or above the ear. This is the part that does the hard work. It gathers the sound through the dual microphones and processes the input, filtering out background noise and sounds that you don’t want to hear based on your situation. Kanso comes with the same industry leading sound processing capabilities as the Nucleus® 6 processor with SmartSound™ iQ. Kanso also has SCAN* technology, which means the processor can analyze the environment you’re in and put your processor in the right program, no matter what the situation. Kanso has only one button to control functionality of the processor. This was done to simplify the user interface and make it even easier to use. You can control on/off, programs and streaming accessories with this one button. 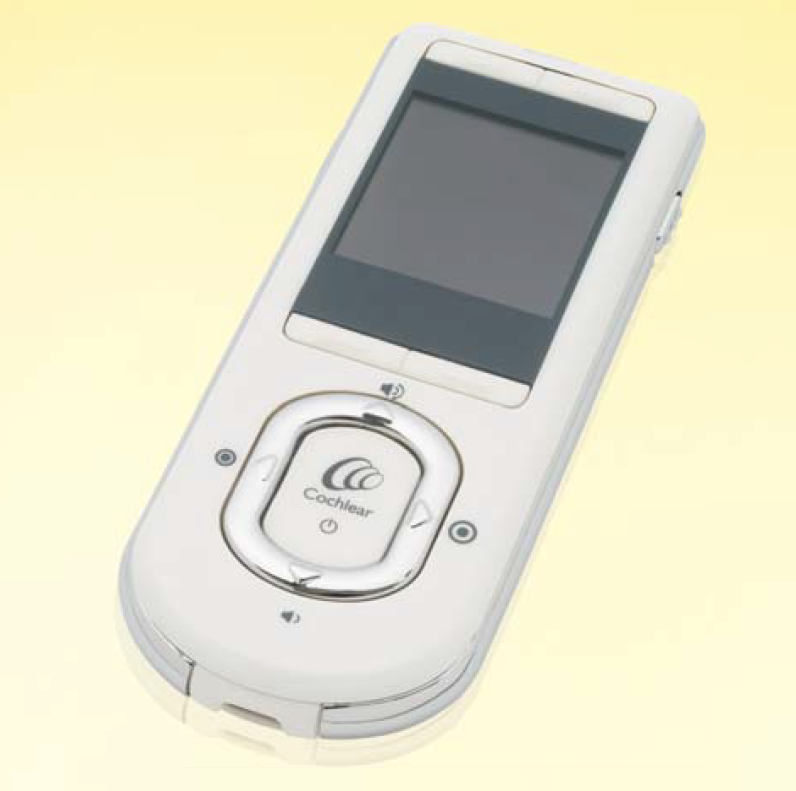 For those who want even more control, Kanso is compatible with the Cochlear Remote Control and Remote Assistant. The microphones are where the sound comes into the processing unit. Kanso has two microphones. This is very important for background noise management because the processor can analyze the sound from the two microphones and determine which sounds came from behind. This ‘beamforming’ means you can hear better in noisy situations. The coil is the part that communicates with the internal implant. It sends the ‘sound’ to the implant. Kanso has the coil built in so there is no coil cable to deal with. You use Kanso with zinc-air disposable batteries. Rechargeable batteries would mean a bigger and heavier processor, which is not something customers wanted. With two zinc-air batteries, Kanso is designed to deliver the same battery life as Nucleus 6. Kanso comes with retention accessories like the nearly invisible safety line for everyday use and the headband for more vigorous activities. 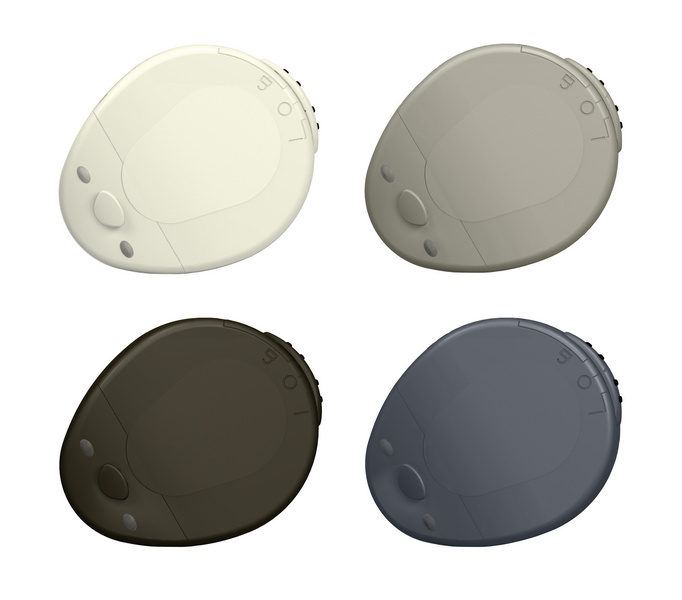 Kanso is fully compatible with the Cochlear True Wireless™ devices – Mini Microphones, Phone Clip and TV Streamer – so you get even greater performance in challenging situations and the convenience of no wires. What’s retention really like? Does it fall off? Straight away, people ask me about the retention of Kanso. Does it fall off? No. I’ve never had a situation where the Kanso just fell off my head. I use the same magnet strength (2) as with my behind-the-ear (BTE) sound processor and didn’t have any problems with Kanso falling off. Did I accidentally knock it off? Yes. I had to break a few habits. With a BTE, if I had an itch, I could just flick the coil off and scratch and the BTE would keep everything on my ear. With Kanso, I had to remember to hold the processor while I scratched. This took me a week or two to change. I also had to be a bit more careful changing a shirt or putting on a hat, but this was not a big deal to me. When wearing a hat, I did have to loosen the band a bit, but it didn’t seem to impact my hearing when I had the hat on. Kanso comes with a clear safety line (like a fishing line) that you can attach to your hair with a clip or another, longer line that you can clip to your shirt. I used the short one in my hair, and I must say I was really hesitant to wear a hair clip, but it was pretty much invisible and surprisingly easy to use. Clip it in in the morning and pop it off at night – too easy! Battery life with two disposable zinc air batteries was the same for me (around 62 hours because I’m a low power user). How simple is Kanso to use? As simple as I found my Nucleus 6 to be, Kanso was just a little bit simpler. 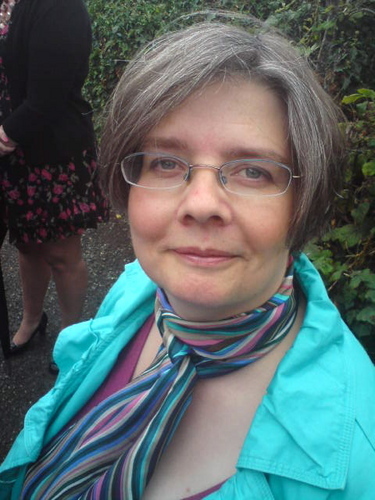 I use a hearing aid mould with my BTE for retention, and with Kanso, I didn’t have to spend a few seconds each day putting the earmould in and positioning the coil. And having only one button and SCAN* means Kanso is truly a ‘set and forget’ processor. Can I use Kanso in water? 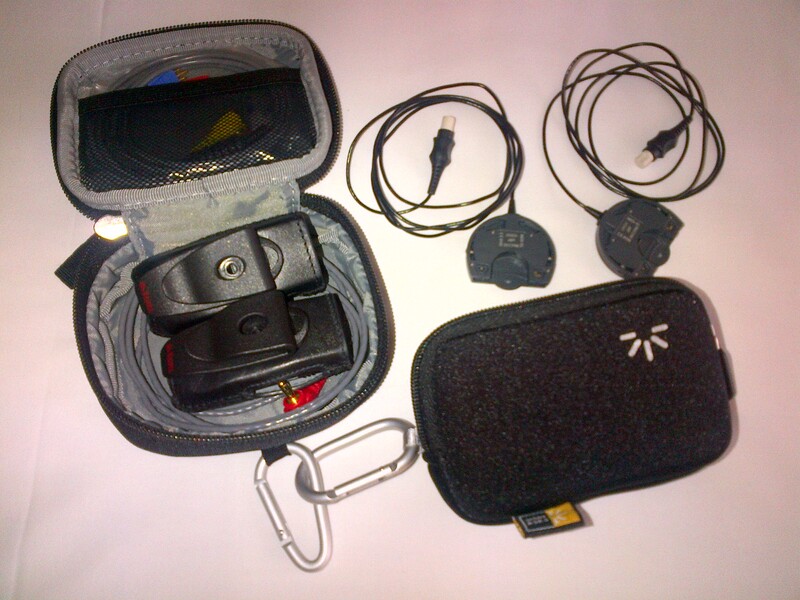 Kanso comes with a waterproof accessory that covers the processor and allows you to swim, snorkel, exercise and more. 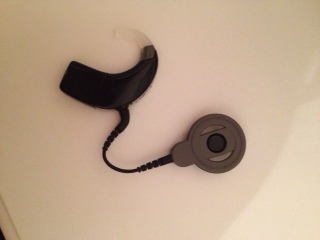 I found the hearing performance when using the Aqua+ to be slightly less, but I could still understand, communicate and have fun with my kids and hear safety alarms or whistles. If you’re doing anything besides just relaxing in the water, you’ll need to use something to keep the Kanso in the Aqua+ on your head. I used a neoprene swim cap (Nammu), but there are lots of options out there, and the Aqua+ has notches for goggle straps if you prefer that. A small price to be able to hear in the water! I’m not really too worried about people seeing my processor since I’ve been wearing something on my ears for 35 years. But if I was concerned about it, Kanso would be perfect for me. I have shorter style hair and Kanso is nearly invisible when I put it on. Can I wear a hat or helmet? As with any implant and processor combination, implant location on your head plays a role in how well (or not) hats and helmets fit. My implant is located just above and behind my ear – right on the ‘hat line.’ I find that I can still wear my hats and my bike helmet but with the hats, I need to loosen a little bit or there is a little too much pressure. This only bothers me in the wind as a loose hat comes off easier. Is Kanso right for me? Personally, I would be very happy with either Kanso or Nucleus 6. I’m not worried about discretion, and I get great hearing performance and connectivity with both. Since Kanso is not worn on the ear, people with glasses might find Kanso works better, especially if you have thick temple pieces on your glasses. 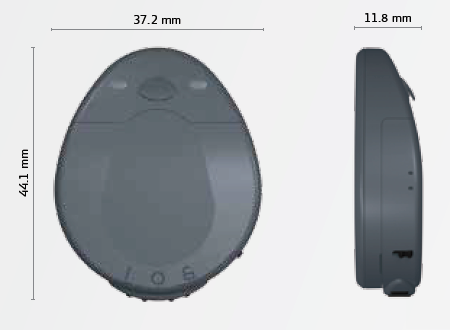 While both processors are compatible with the Phone Clip, the Nucleus 6 processor telecoil is optimised for phone use. I used Kanso with the mics alone on the phone for quick conversations with family and friends but much preferred the Phone Clip for long calls or calls for work. Consider battery type and how important that is to you. Talk with your hearing health professional and be honest about what you hope to achieve with your processor. I hope hearing about my experience has proven helpful if you’re thinking about Kanso. Good luck with your hearing journey! 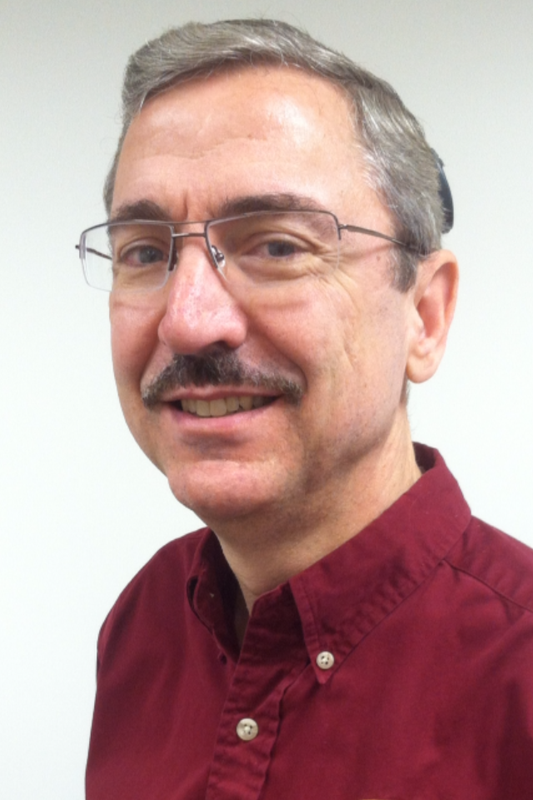 Roger Smith, MSPT has been working in the field of healthcare for over 18 years. He is currently a Global Product Manager with Cochlear Ltd., spending the past 5 years in Sound Processors and Connectivity. As an employee and an active volunteer, Roger draws on his unique experience as a cochlear implant recipient to help improve the lives of those with hearing loss. 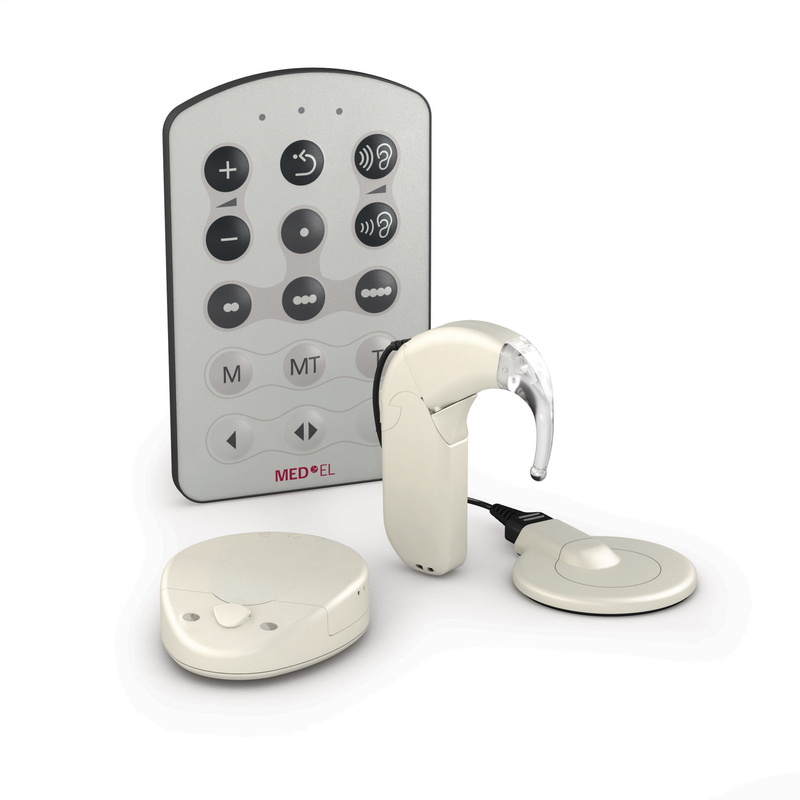 Author and cochlear implant user Michael Chorost has published a detailed review of the Naída CI Q70 processor, filled with user experiences and pros and cons of the processor. Read the full review here. 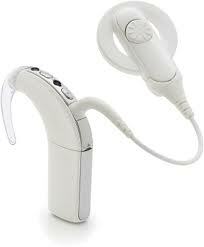 RONDO is the world’s first single-unit processor for cochlear implants. RONDO is a single-unit “button processor” compared to a BTE that has a separate coil. Because my hair is short, the RONDO is more noticeable than the OPUS 2. People have asked me more questions about the RONDO in just a few weeks compared to the OPUS 2 in a year. For some reason, people are more fascinated with the RONDO and seem more comfortable asking about it. 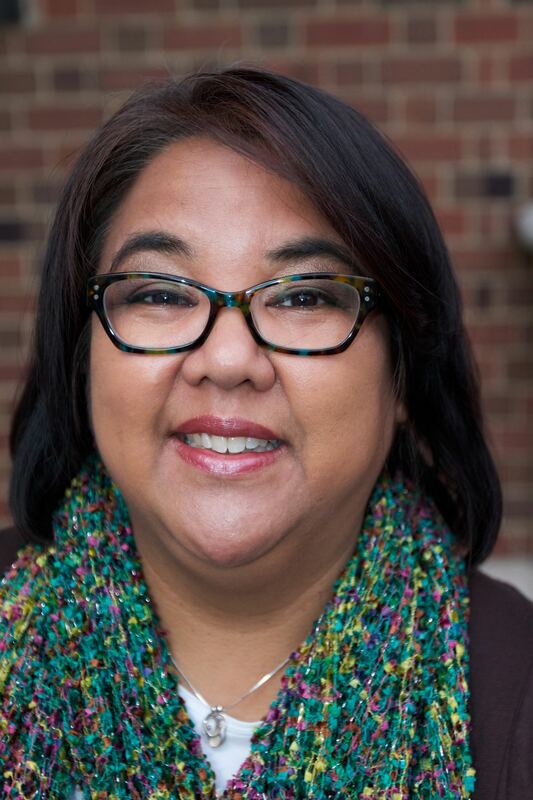 I’m social by nature and have had great conversations with people who have approached me to ask about the “thing on my head.” This could be a minus for some people who don’t like to be noticed or are more introverted. I believe that it appeals to some people with longer hair because it’s more discreet. I personally never cared if people looked or not. I just love the convenience of the RONDO on my head instead of behind the ear like a BTE. And, it’s much easier for me to wear glasses, especially thick sunglasses! The device is so easy to use… just turn it on and plop it on your head. The only “hassle” is having to change the batteries once every 4 or 5 days depending on how long your day is. For me, this is an advantage compared to having to replace rechargeable batteries daily for the OPUS 2. I put the CI on first thing in the morning and it only leaves my head before I hit the pillow at night. Everything about the device is neat. It is just a small “puck” on your head. The only negative that I have noticed so far is that when I have to replace the batteries I have to stop whatever I am doing and find a table to replace them. The microphone is at one end of the processor and has a protective cover over it. 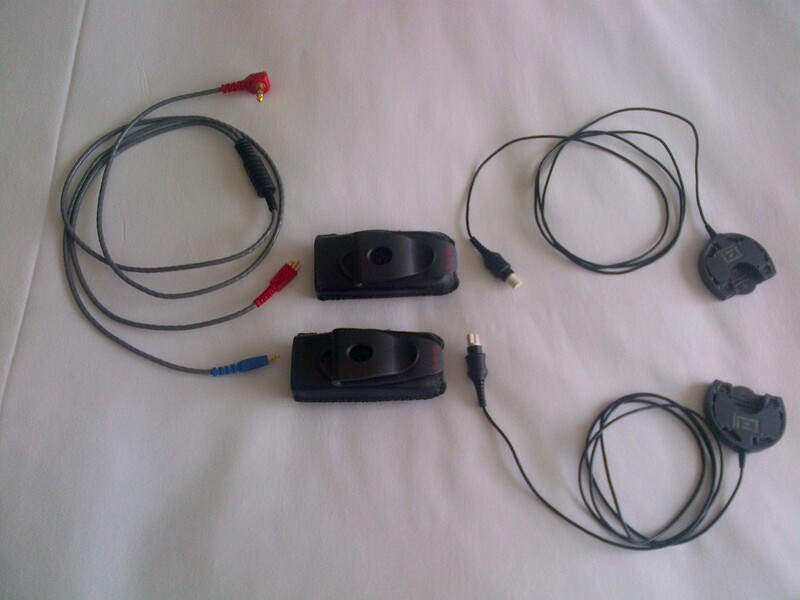 To each side of the microphone are LED’s that will flash to indicate different things about the CI. It will flash continuously, for example, if the battery dies. When it is powered on it will flash a number of times to indicate which program it is using. It will also flash anytime some action is taken with the remote. It is important to note that this light activity can be “turned off” if the user does not want them to flash. The RONDO has very small holes for a tether to clip the device to your hair or clothing, which I don’t use. It has a switch to turn the unit “on” and “off” which is also used to unlock the case to replace the batteries. Very easy and convenient switch the way it was designed. It is hard to compare RONDO with OPUS 2 as far as sizes are concerned because of their different form factors. I can’t hide it with my thin hair. I think people with longer hair are able to cover it. The color options are close to typical hair colors. But, this doesn’t really make a difference if you are bald or wear your hair very short. The processor is somewhat thick, but it is not that bad in my opinion. The D-coil is surely much thinner! I use hard hats from time to time at work and even though I have worn the hard hat with the RONDO, I prefer not to. I plan to switch to the OPUS 2 when I am on the field all day working with a hard hat. If I am going to use the hard hat just for a quick site inspection then I don’t bother switching processors. The RONDO uses disposable batteries only — three 675 size and I get more than 60 hours on them. The OPUS 2 has both disposable or rechargeable options available. I use the rechargeable battery pack with the OPUS 2. I have only used rechargeable batteries with the OPUS 2 and I get 12 hours on the dot with each processor. I have not used disposables for a long time but I remember they lasted 3 days with the same 3 batteries as the RONDO. But that was before the D coil was available for the OPUS 2, and the D coil improves battery life by up to 50%. So the same batteries last longer with the RONDO than they did for me with in the OPUS 2, as expected. The batteries are easy to replace by using the magnet to take them out of the sockets. After replacing them a few times, I’ve gotten better at it over time and now after several weeks with practice I can replace them rather swiftly. When you change the batteries, RONDO retains the program and settings. This is a tremendous advantage! I typically don’t change programs very often. However if I had the unit on Telecoil, switching the unit off and on brings it back to microphone mode (turns off T-coil function). 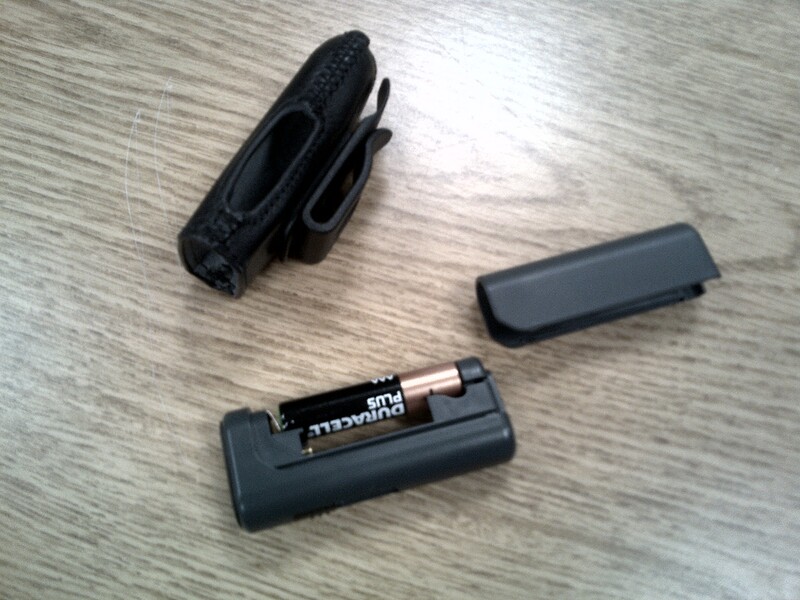 The Mini Battery Pack, which I use for Direct Audio Input, takes a single AAA battery. It can also use a rechargeable battery (AAA or DaCapo Power Pak). 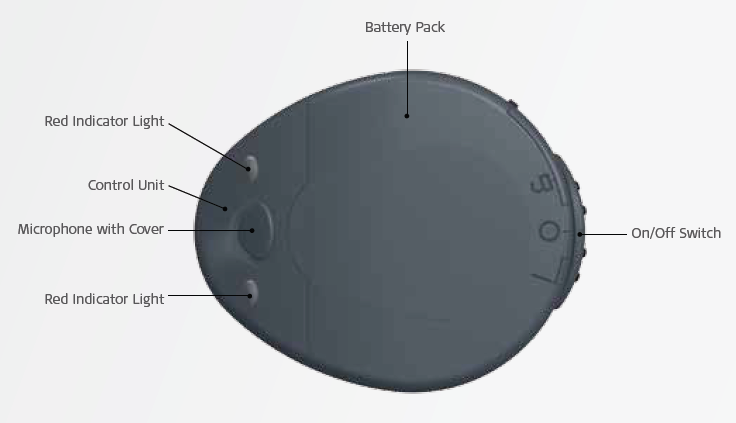 The Mini Battery Pack for RONDO is slightly different than the Mini Battery Pack for OPUS 2, as a different connection is needed on the processor side. The mic is obviously in a different location than the OPUS 2 mic. Sound quality is almost the same for me. The differences are slight as far as I can tell. The RONDO appears to provide a somewhat more “normalized” sound. I prefer the RONDO sound a little better in quiet environments due to the way the microphone is positioned. I do a bit better in restaurants and at parties with the OPUS 2 compared to the RONDO. This minor decrease is somewhat compensated by the tremendous convenience and dramatic improvement in comfort that the RONDO provides. I’ve also noticed that for me, the RONDO seems to pick up a little more wind noise than the OPUS 2. The FineTuner remote control has the same functionality as with the OPUS 2 – you can use the same remote with either processor. I use the remote mostly for T-Coil activation or to evaluate new programs or strategies. One remote controls both RONDOs for bilateral users. That is a terrific thing for me. I love the convenience. I also like the way the remote is designed with its buttons because I can switch just about anything in the dark and inside my pockets without looking at it. Very intuitive! I use the same magnet (standard) that I used for the OPUS 2. And I can run with it without a problem. There are four strengths – soft, standard, strong and super-strong. The processor stays on very well. It only comes off when I swipe it accidentally. It comes with a retaining tether, but I don’t use it. RONDO and OPUS 2 are identical in the functional sense, with the exception of one significant difference… the Telecoil orientation is critical for good reception, so if the RONDO is not in its proper orientation adjustments may be needed. I often have to tweak the orientation of the OPUS 2 to make sure it is perpendicular to the loop plane to get the maximum sensitivity possible. The RONDO can shift a little on your head and may not be in the optimal Telecoil angle. The same programs that were on the OPUS are used on the RONDO. There is no difference and maps work equally well for both the OPUS 2 and the RONDO. Like the OPUS 2, the RONDO has four program slots. Also, I prefer to wear my RONDOs with the microphones pointed slightly differently than the normal operation, so when I use a hearing loop or neckloop, I have to make a quick adjustment. I have gotten used to do that so much that is now becoming an automatic thing for me. With the telephone, I have developed a technique where I use two of my fingers to position the RONDO in an ideal position relative to the phone for maximum pick-up. In the beginning, this was hard because the processor is on your head and not behind your ear. It took some getting used to. This is now automatic for me as well. I don’t use the Telecoil with the phone, just the microphone. It does look a little odd holding the phone to your head instead of your ears, but I do it all the time and I haven’t noticed any strange looks – yet! People can still hear me well when I use the cellphone even with the phone’s microphone further away from my mouth. To use the telecoil, activation is via remote only. To deactivate it you can either press a button on the remote control or if the remote is not handy, you can just switch the RONDO “off” and “on” and the Telecoil will go off automatically. 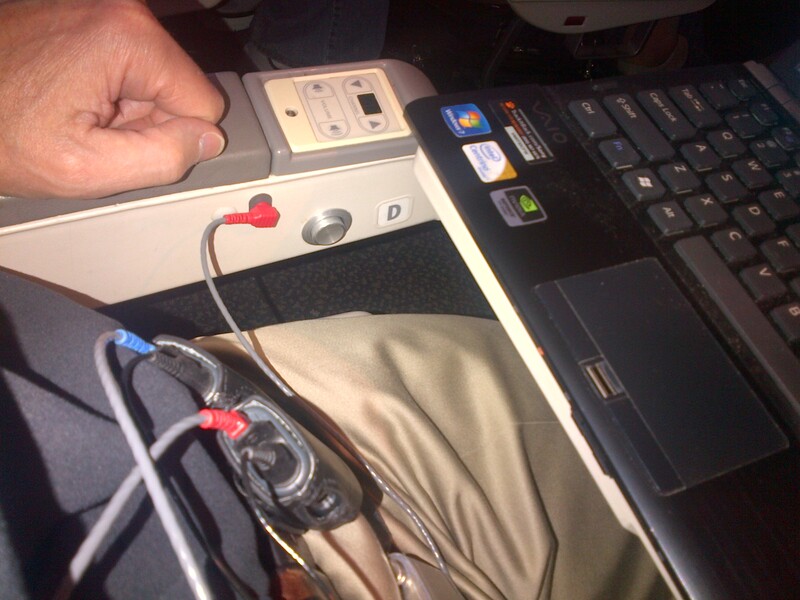 I use this all the time when I am travelling, in the airport lounges and on the plane. The RONDO has a special accessory that replaces the battery platform. This Direct Audio Input accessory has a cable attached to it. Then this cable connects to another small accessory called a Mini Battery Pack. This “pack” unit has a jack that allows me to plug another cable that then connects to just about any audio jack out there; iPad, iPhone, laptop, plane audio jack, etc. You can also connect an FM receiver via the mini battery pack. I just carry this same kit with me if I go to a theater or a movie and want to capture the best sound possible. Loops don’t come anywhere close in terms of Hi-Fi listening. However, if a facility has a hearing loop then I don’t bother with the kit. Everything ready for bilateral DAI. The audio cable has Euro connectors – the same ones that FM receivers use. On the plane with my gear! There is a warning beep when the batteries are running low that lasts a minute or two to warn the person to replace them. This can be deactivated in your program, for instance if the listener is a child. The lights flash for different programs and also for low battery, dead battery, etc. I had my “lights” turned off to avoid distracting people when the battery is about to die. When I turn on the processor the lights flash to tell me it is operational and which program it is in. Unless you ask the audiologist to turn the lights off, they will show parents different statuses… when changing programs, changing volume or sensitivity, etc… basically, each time a remote key is pressed the light flashes to confirm the change. Also, when the battery dies, the light flashes continuously. I was in the field all day using a hard hat with the OPUS 2 and I noticed that I had gotten so used to the RONDO sound quality that I instantly noticed that do have a preference to the RONDO quality. Music does sound a little better with the RONDOs for me personally. It only confirmed my earlier assessment that the RONDO provides a more “normalized” sound quality. Switching back to the ROINDO came as a mild relief. Nothing dramatic but it is “somewhat different” as far as my personal experience is concerned. I will use the RONDO probably 99% of the time. Comfort is the primary reason. I will use OPUS 2 with hard hats and for very active sports like soccer. When I go to my fitness club, I use the RONDO because I can jog and run and do all of my workouts without a problem. In fact, I find that I don’t have any sweat issues with the RONDO. I think the reason is because my hair is very short and the sweat never reaches the top surface of the processor. It seems to slide around the base. I used to have more problems with the OPUS 2 because the microphone would get wet and the sweat could easily find a way into the processor. That has not been the case with the RONDO so far. I am not sure if I will have issues when my hair gets longer and it starts covering the RONDO. As an adult, I love the comfort and convenience of the RONDO! Joe and other members of MED-EL’s Patient Support Team (PST) received RONDOs from MED-EL to try out. Joe decided to keep his, and worked through MED-EL’s exchange program to keep them. If you have OPUS 2 processors, you may be eligible for an exchange, but the details depend on the age of your OPUS 2, if it has been opened, etc. In some cases, it’s a simple exchange, in others there is a cost involved. If you are interested in an exchange, please contact MED-EL. Joe Duarte has had hearing loss for most of his life of unknown causes. He began wearing hearing aids when he was four years old, and now has bilateral cochlear implants from MED-EL. Joe engineers and sells hearing accessibility solutions through his company, Duartek. Joe is a member of MED-EL’s Patient Support Team (PST). PST members include people who wear MED-EL hearing implants, their spouses, and parents of children with MED-EL implants. They are a volunteer resource for people considering an implant and who are interested in learning more from actual users with real-life experiences.